As people of the church, we believe all people are called to various roles in the church, in their workplaces, and in their homes. The Nebraska Synod, through the work of its Leadership Development Table, seeks to develop, equip and support people in their various calls in life. 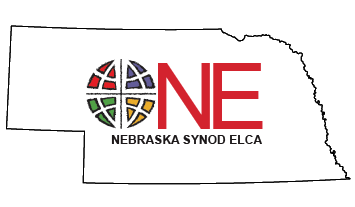 The role of the Nebraska Synod Leadership Development Table is to provide input and support for strategies and events related to the ongoing development of leaders – lay and rostered – throughout the Synod. To this end, the table seeks to be familiar with current materials related to the needs of the church for leadership now and in the near-term and long-term. Mindful of these needs and aware of resources for developing leaders to meet them, the table provides thoughtful recommendations for the overall direction and objectives of leadership development, and serves as a resource for planning and carrying out related events that don’t already fall within the purview of other groups. LEAD’s Mission statement reads, “Growing leaders with deep, bold, consequential faith in Jesus Christ.” They are focused on empowering Christian leaders, transforming faith communities and influencing the world. LEAD equips leaders & churches with coaching, pilgrimages & resources. Their 10 Minute Toolbox is a great a resource that could be used at Council meetings, with staff and lay leaders. They also provide Lenten and Advent resources, lectionary commentary and the Work Out Process. You will find familiar ELCA faces on the team; they are a helpful resource in themselves. Mike is a consultant, coach, speaker and author focused on helping Christian leaders turn vision into results. His simple, one page blogs are always to the point with great real life examples of how we are called to be Godly leaders. You can subscribe to his blog on his web page. He may be best known for his book "Thriving in the Second Chair"; a good read for all vice presidents, associate pastors and others who sit in the second chair. Krista Tippet is known by many as the “voice on public radio.” Her weekly shows, are available as a download or through the written transcript on the web page. Her shows push the limits in helping us examine what it means to be human and how we want to live. She explores these questions in an interview format with wise guests from all walks of life. Her shows are great conversation starters and encourage us to see life from the other side, providing an emergent approach to new conversation and relationships across the differences of our age. Krista also writes a blog, is an author and produces a newsletter. Ordinary Voices is a resource for people, wherever they might be on their spiritual journey, to find expressions of hope in daily life.